Aging is a dreaded nightmare for women, especially when we want to retain that youthful radiance of our 20s for as long as possible. The stress of modern lifestyle, combined with the pollution around us, adds to our worries. But, you don’t need to get stressed out anymore. We have compiled a list of the 10 best anti-aging serums that you can try out to regain that healthy glow that you were naturally blessed with. Read on! Take this skin analysis for free and get a customized skin care regimen for clear, and glowing skin. 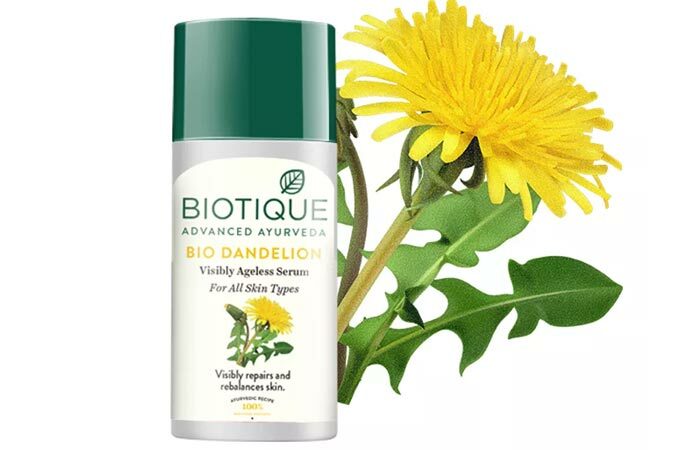 Biotique Bio Dandelion Visibly Ageless Serum is a rare combination of pure dandelion – that is rich in vitamin E and minerals – and nutmeg oil. These powerful ingredients nourish your skin cells and give you a radiant complexion. Besides brightening your skin, this serum also helps with microcirculation and cell regeneration to reduce fine lines and dark spots. 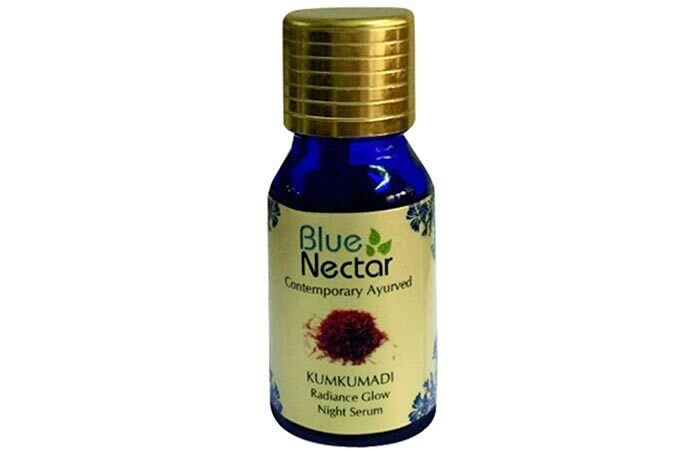 Blue Nectar Kumkumadi Radiance Glow Night Serum is a concentrated kumkumadi oil serum that contains a highly potent formulation of vital herbs like saffron and nagkesar infused with pure sandalwood oil. It helps fight the signs of aging and brightens your skin tone. Its regular use helps reduce fine lines and wrinkles by intensely hydrating your skin. It also helps your skin fight age spots and improves your skin tone. 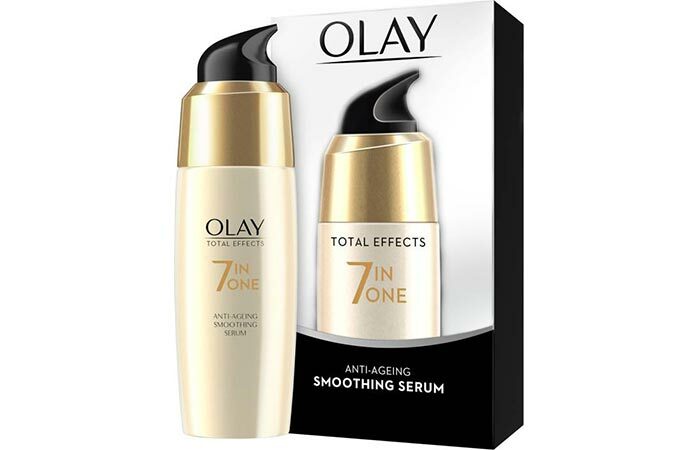 Olay Total Effects 7-In-One Anti-Ageing Smoothing Serum fights the seven signs of aging and gives you soft, supple, and youthful skin. This serum provides intense moisturization to dry skin and prevents flakiness by keeping your skin well-hydrated. Its anti-aging formula reduces fine lines and smoothens wrinkles. Using it regularly gives you an even-toned complexion that is free of blemishes and dark spots. 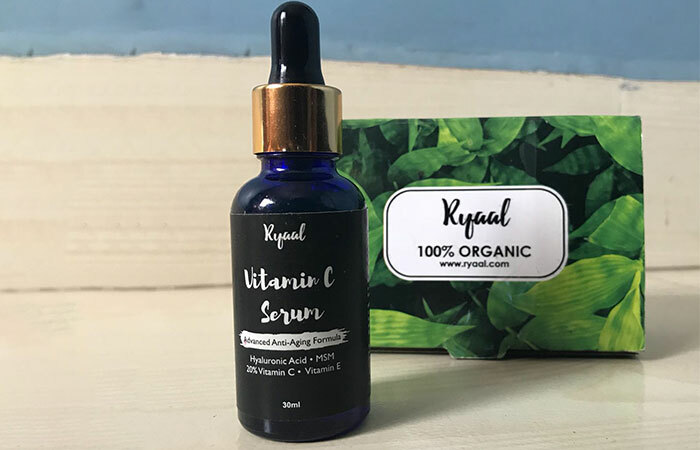 Ryaal Anti-Aging Vitamin C Serum reduces the appearance of fine lines and wrinkles and boosts collagen production. It lightens sun and age spots to improve your skin tone and give you a revitalized and youthful complexion. This advanced anti-aging formula contains vitamins C and E that have antioxidant properties. The hyaluronic acid in this formula keeps your skin well-hydrated. Overall, this serum offers complete protection against premature skin aging. 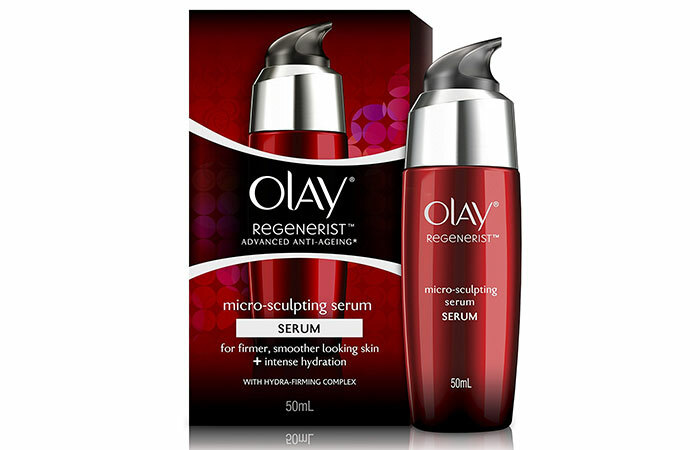 Olay Regenerist Advanced Anti-Ageing Micro-Sculpting Serum renews the outer layer of your skin one cell at a time. It helps regenerate your complexion quickly and strengthens the moisture barrier of your skin. This serum delivers intense hydration to dry and mature skin, making it look firmer and visibly lifted. Its regular use helps reduce lines and wrinkles without the need for clinical treatment. 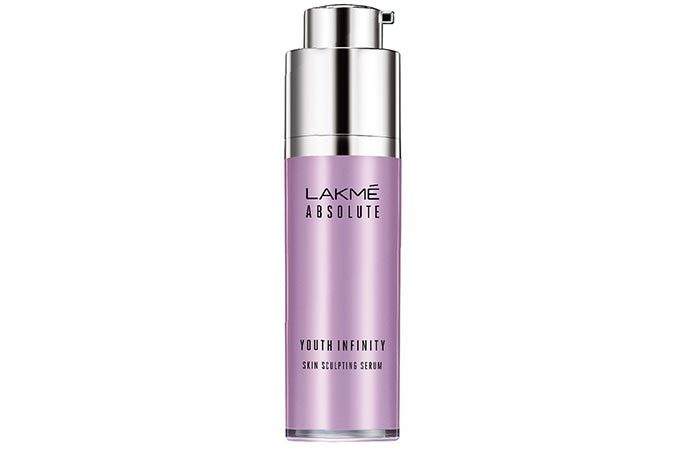 Flaunt youthful skin that exudes radiance and glow with the Lakme Youth Infinity Skin Firming Serum. This anti-aging serum is enriched with the skin lightening qualities of luminizing pearl that brightens your skin tone instantly. It visibly reduces spots, blemishes, patchy skin, and wrinkles to give you a youthful look. The Insta Collagen Boosters in this formula tighten your skin by improving its elasticity. 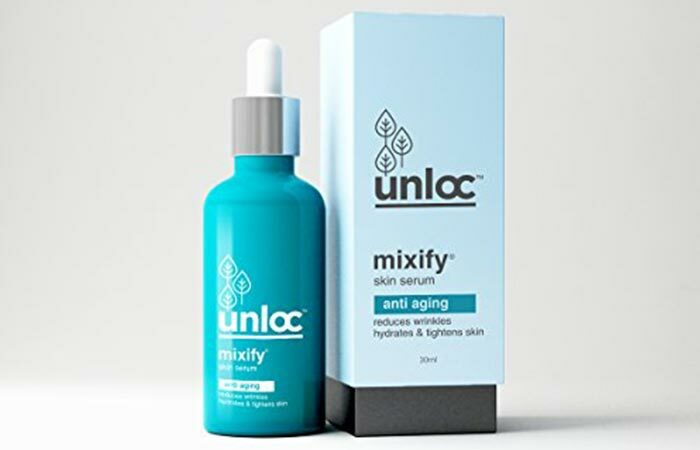 Unloc Mixify Anti-Aging Skin Serum is made using pure ingredients like hyaluronic acid, vitamin C, and natural plant extracts of barberry, mushroom, lemon, and licorice. Its anti-aging benefits include producing collagen, smoothing fine lines, reducing wrinkles, and brightening and evening out your skin tone. The hyaluronic acid in it replenishes moisture, which is crucial for getting younger-looking skin. 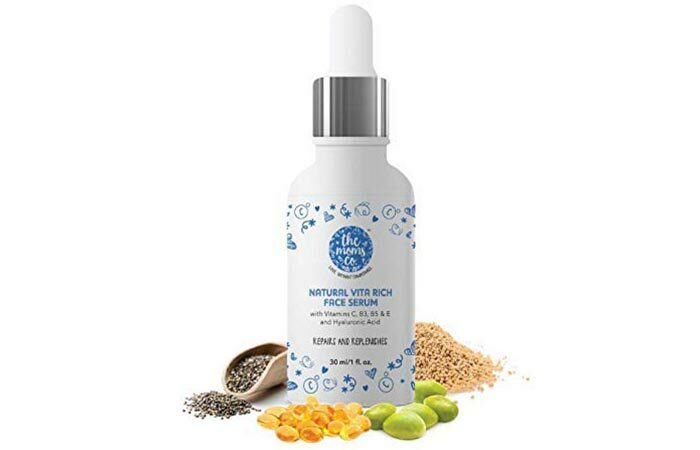 The Moms Co. Natural Vita Rich Face Serum is formulated using vitamins C, B3, B5, and E, hyaluronic acid, and soybean phospholipids. This serum penetrates deep into your skin to hydrate and brighten your skin and help reduce pigmentation and fine lines. It replenishes your skin and corrects uneven skin tone using natural ingredients, such as primrose oil and chia seeds. 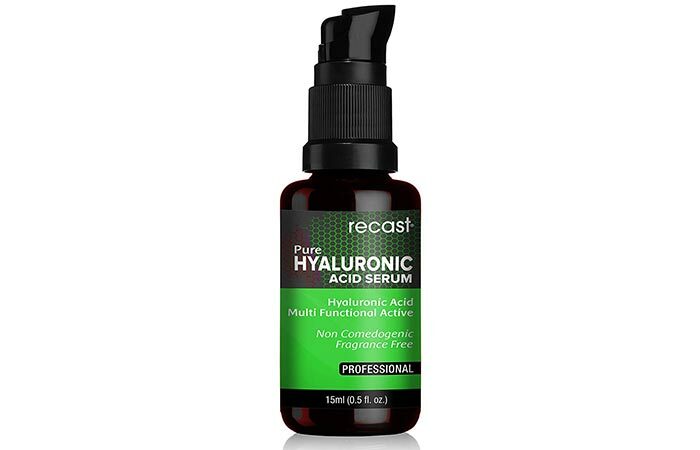 Recast Pure Hyaluronic Acid Serum contains pure hyaluronic acid, a powerful moisturizer and humectant. It replenishes water from outside and holds water within, helping in improving the hydration and elasticity of your skin. Using it regularly improves skin tone noticeably by making your skin plump, smooth, bright, and soft. It also boosts your skin’s capacity to heal wounds naturally. 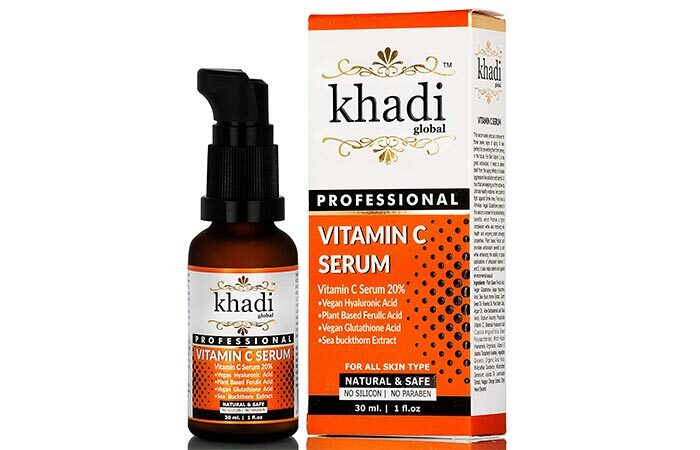 Khadi Global Vitamin C Serum claims to fight the pesky signs of aging and prevent them from forming in the future. The antioxidant properties of vitamin C defend your skin from the aging effects of invisible aggressors like pollution and harmful UV rays. This serum also lightens smile lines, fine lines, and wrinkles and gives your complexion the ultimate healthy radiance. Watching the signs of aging appear on your skin can be difficult. Therefore, it is best to combat them early on by using an anti-aging serum. 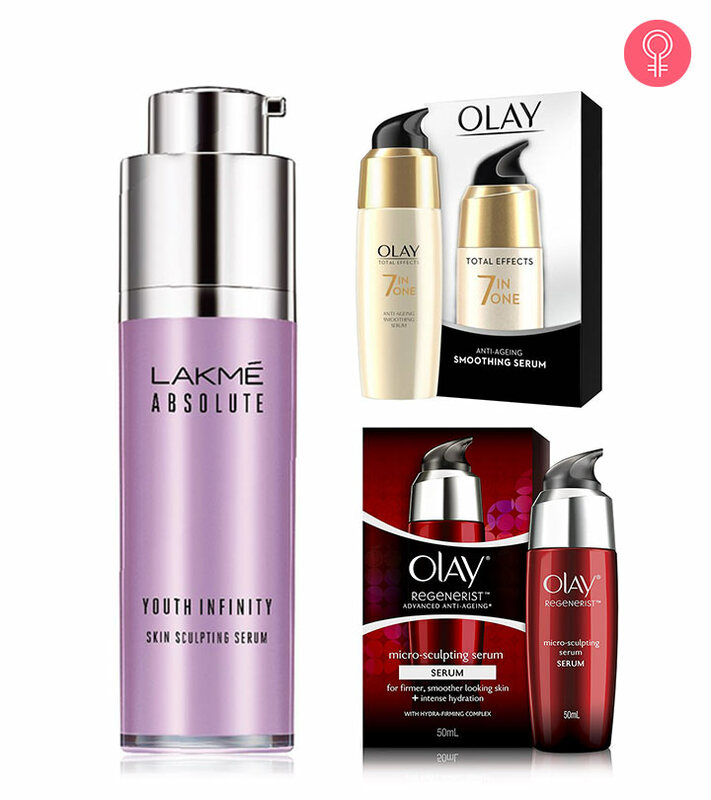 Which of these would you pick to pamper your skin? Let us know in the comments section below.